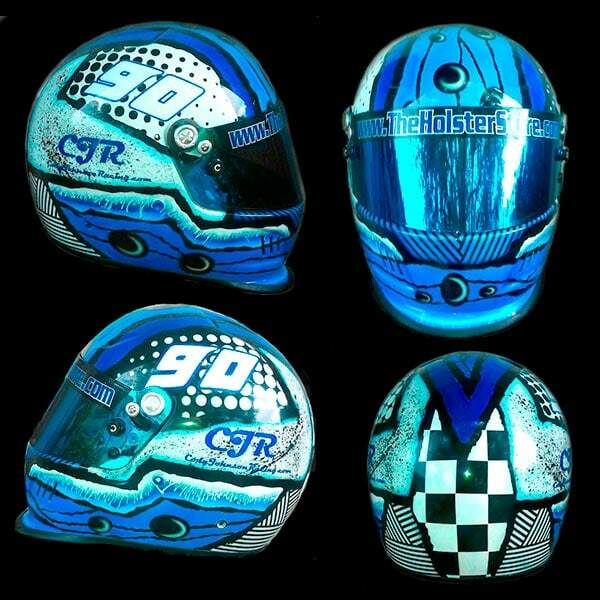 G Force race helmet I designed and painted for Cody Johnson several years ago. Cody race’s modifies in Florida and is a karting champion. Interesting design to paint for sure. Call or text 1-352-361-3403 to get started on your helmet today.